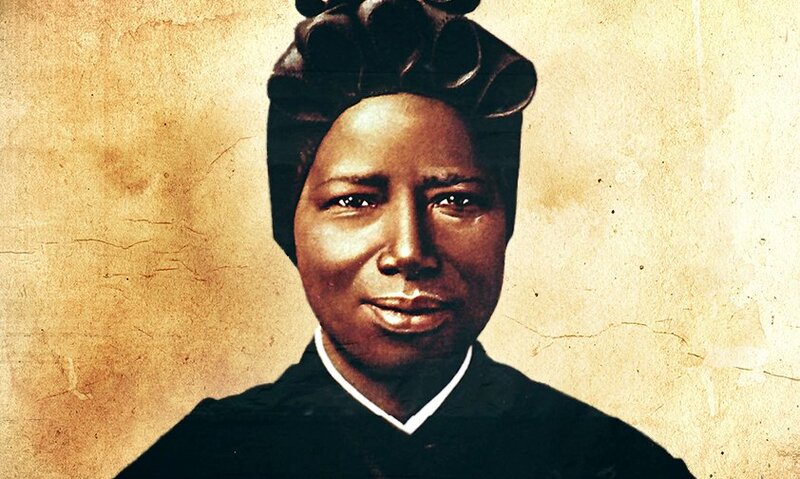 Josephine Bakhita, the African Saint | M.Afr. Josephine Bakhita (1869-1947), a former Sudanese slave who became a saint, is still little known in the West, unlike in Africa. Telling her life is captivating, as her earthly journey is so unusual, almost romantic. Her youth is rich with uncommon events, but it is the period when she is religious that is the most important. Her rather long journey of 78 years testifies that this humble Daughter of Charity was a true witness of God’s love. Read the whole story on the website of “Notre histoire avec Marie” (only in French).